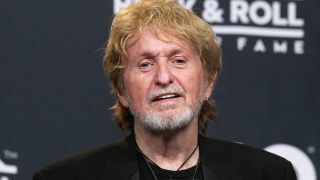 Jon Anderson has revealed that he’ll release a solo album title 1000 Hands later this year. He says (via Rolling Stone): “I’ve spent long periods of time making some records, but I’ve never taken a journey quite like this one. “To say that 1000 Hands has been a long time in coming would be quite an understatement, but I’m thrilled that it’s finally a reality and that my fans will now be able to hear it. Anderson completed the record in Florida with producer Michael T Franklin and it’ll also feature dozens of guest musicians, including Anderson’s former Yes bandmate Steve Howe, Jethro Tull’s Ian Anderson, Steve Morse, Billy Cobham, Chick Corea, Rick Derringer, Pat Travers, Jonathan Cain and jazz fusion violinist Jean-Luc Ponty, who the singer previously worked with in the The Anderson Ponty Band. Speaking about the collaborations, Anderson adds: “That’s where the title 1000 Hands comes from – all of the brilliant musicians who played a part in making the record. 1000 Days will be released on March 31 and is available for pre-order exclusively from Anderson’s website, where you can also hear snippets from some of the tracks.